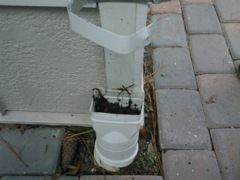 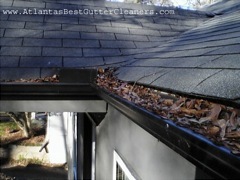 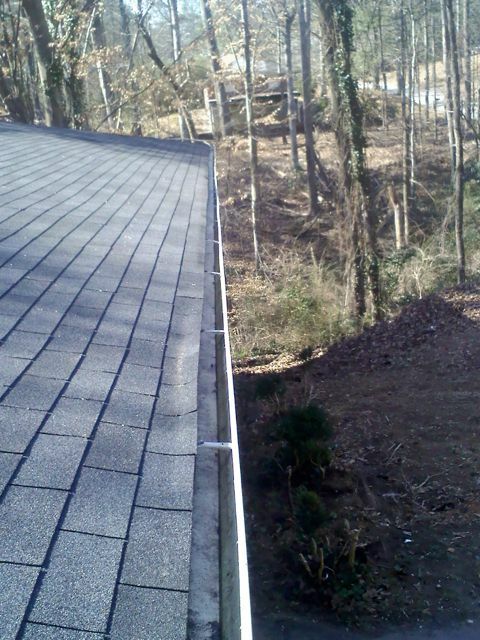 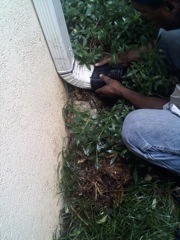 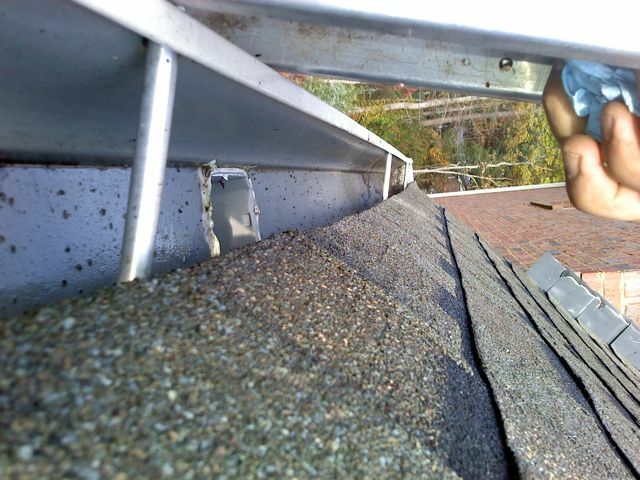 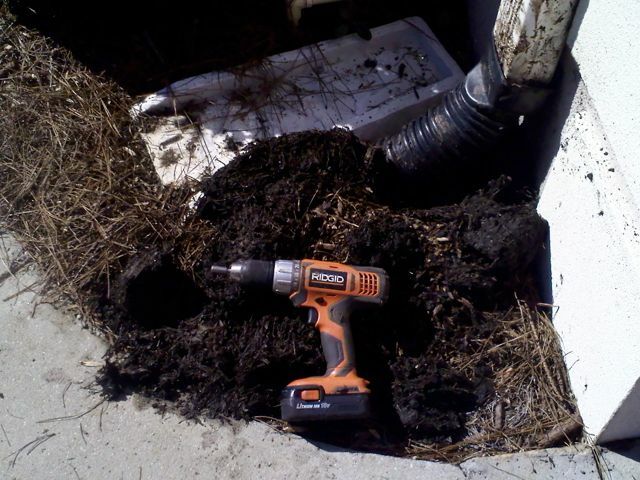 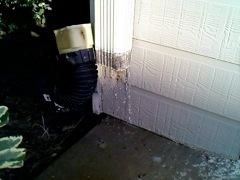 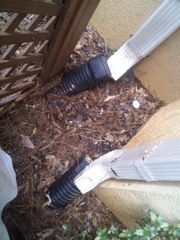 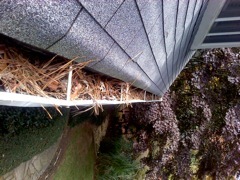 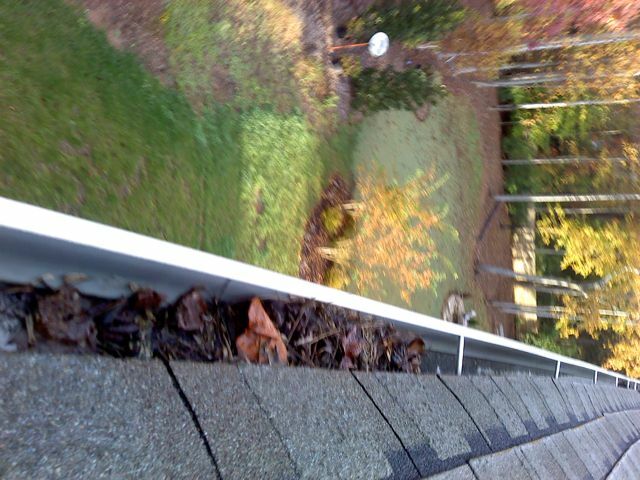 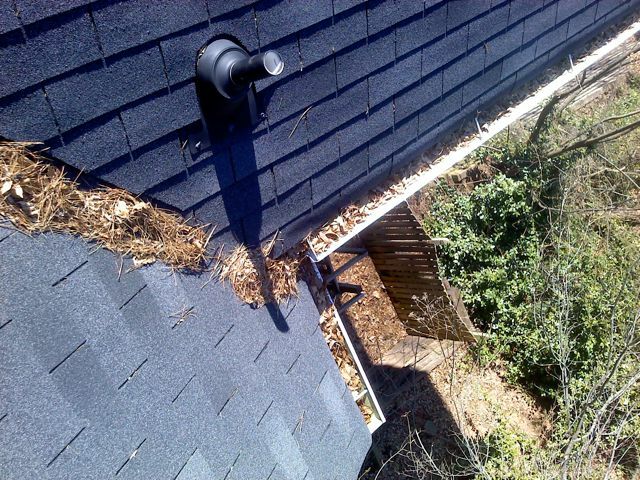 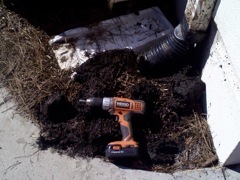 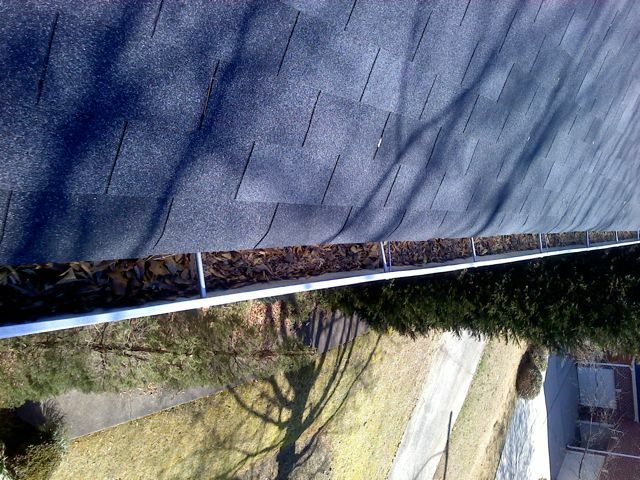 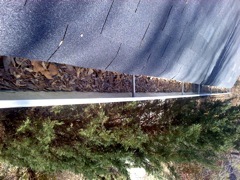 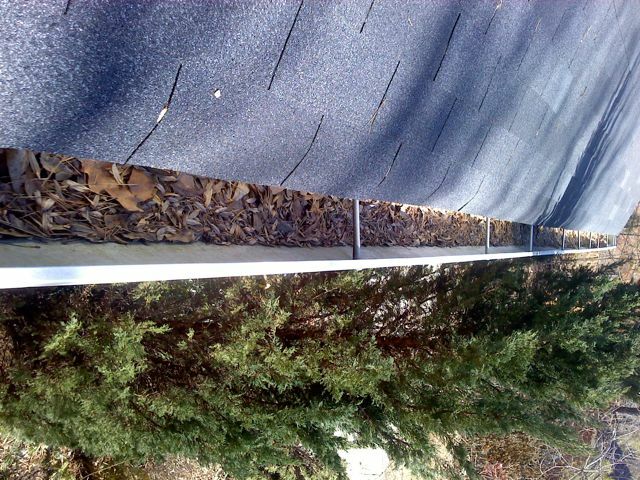 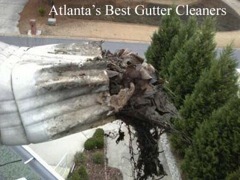 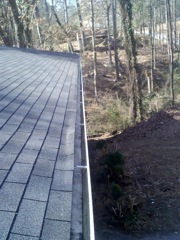 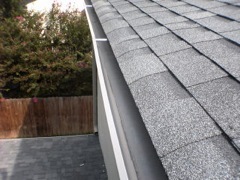 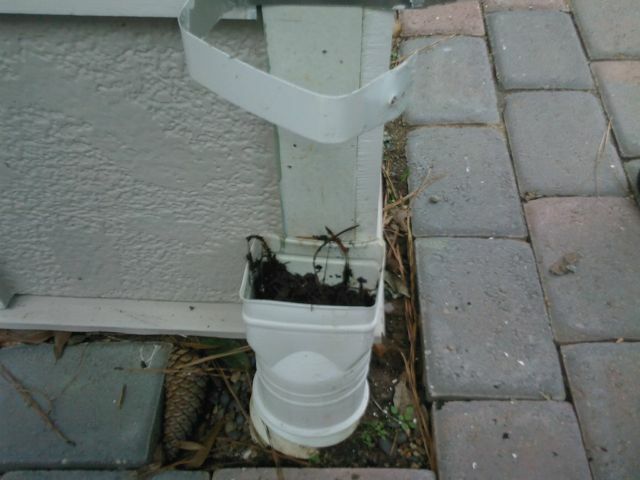 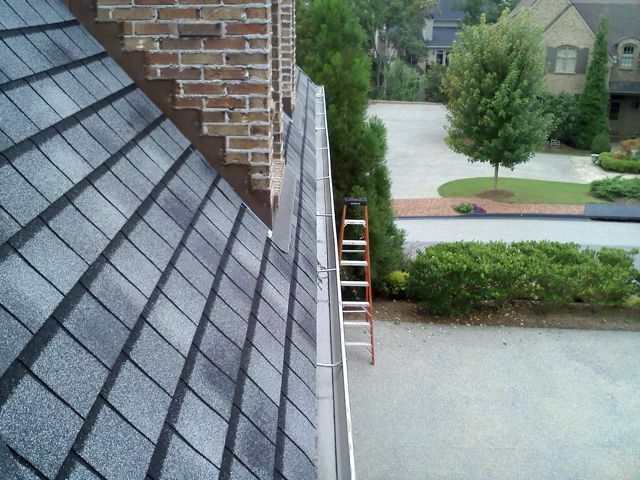 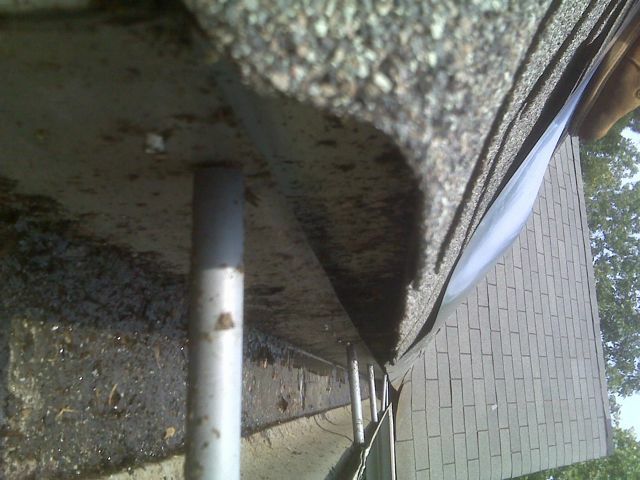 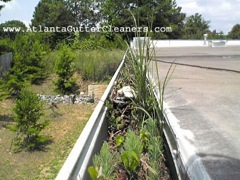 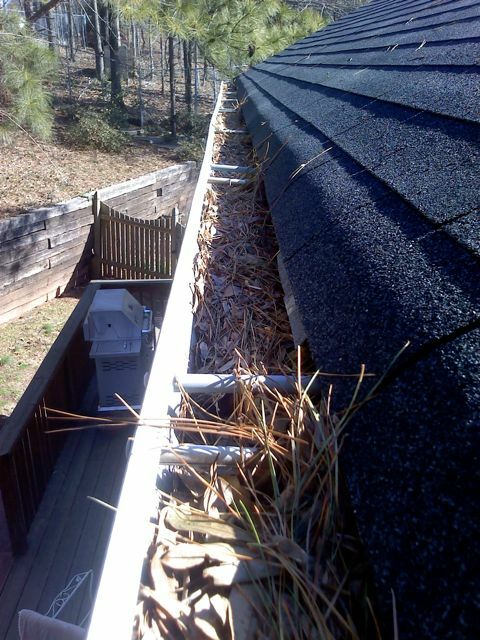 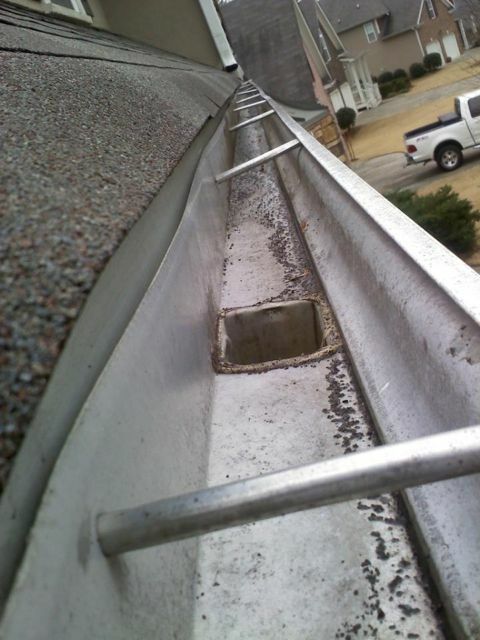 They completely clear the debris out of the gutters and downspout systems using their high-powered blowers. 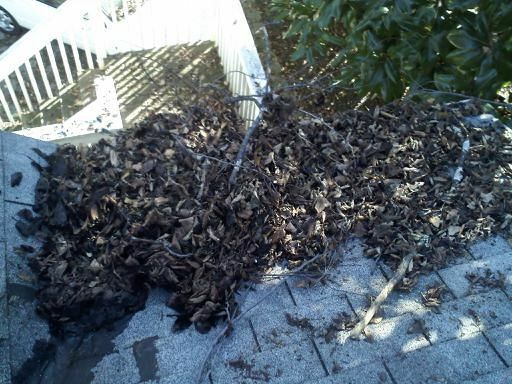 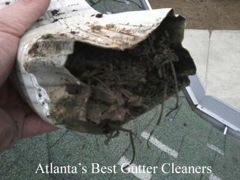 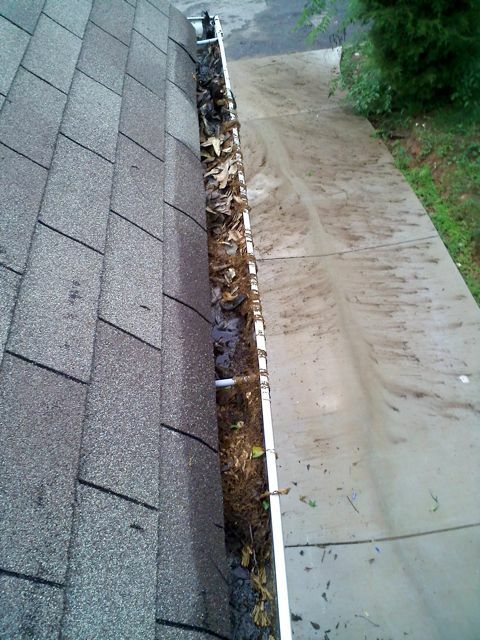 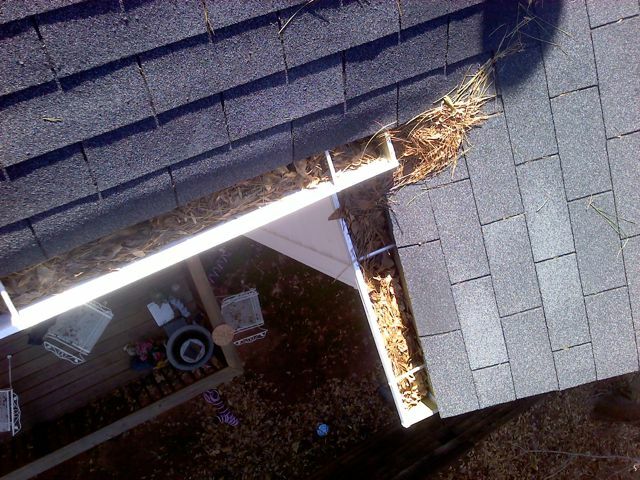 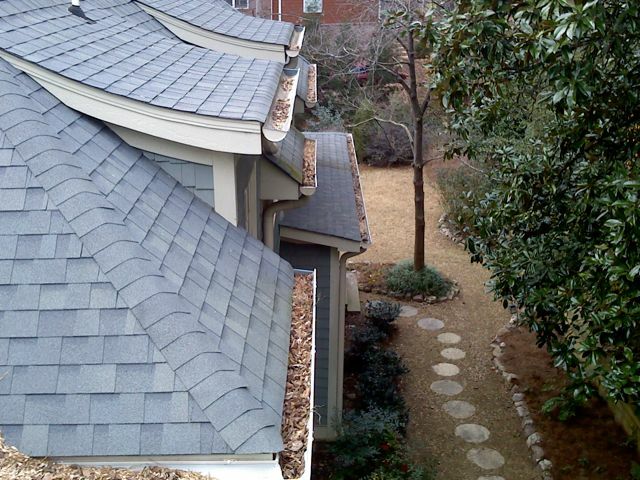 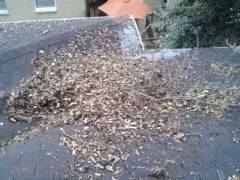 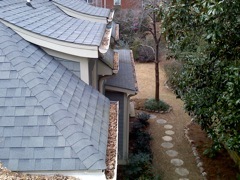 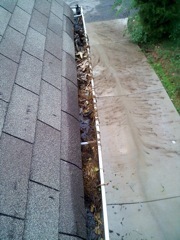 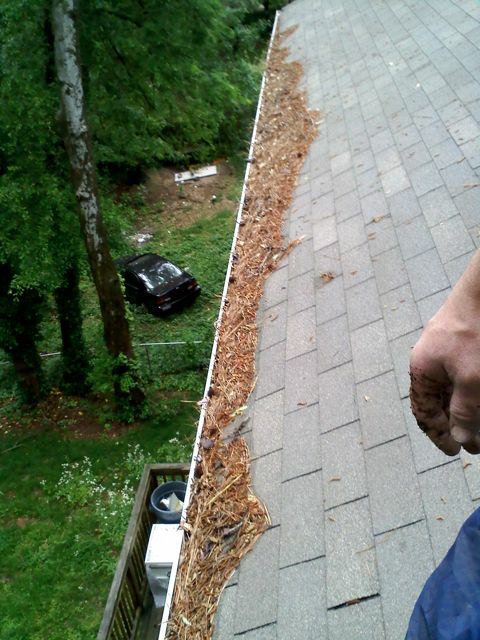 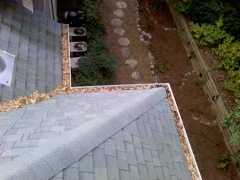 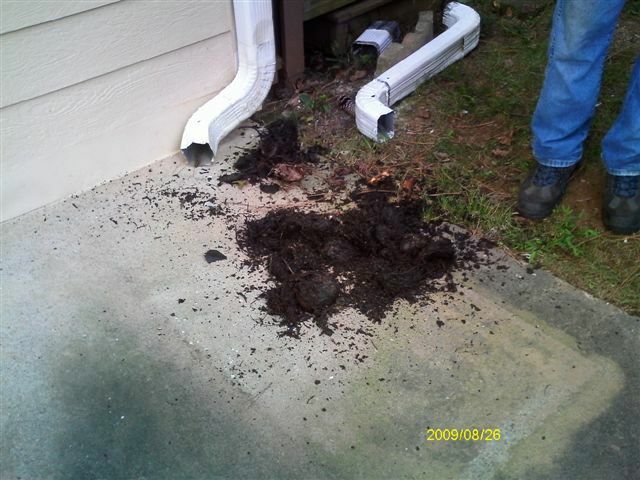 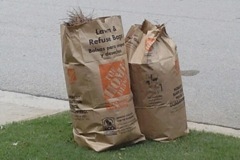 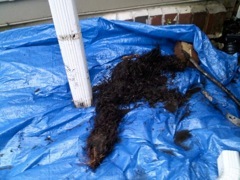 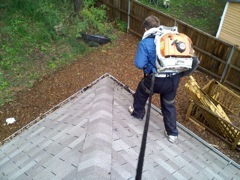 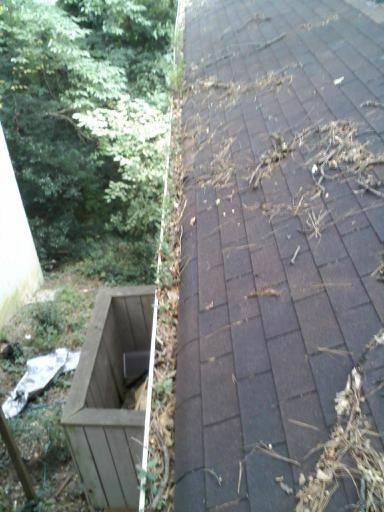 Any large accumulations of debris that won't blow out of the gutters, our crew will shovel the debris out by hand. 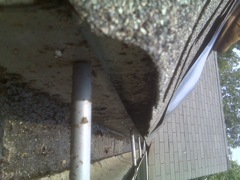 They test the downspouts for clogs that were missed during the cleaning. 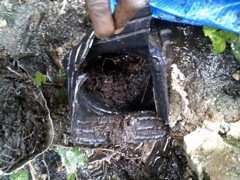 On a rare occasion where gutter cleaning has been neglected, an over-abundance of debris can cause a major downspout clog in a downspout that requires the downspout to be dismantled and cleared by hand, which is not part of our basic service and requires and additional fee, but this needed service is very rare unless the gutters have been neglected or there is an inordinately large amount of trees and leaves over the gutters. Finally, they clear the fallen gutter trash off the flat areas surrounding the home and blow it away from the house and into the natural landscape of the property.